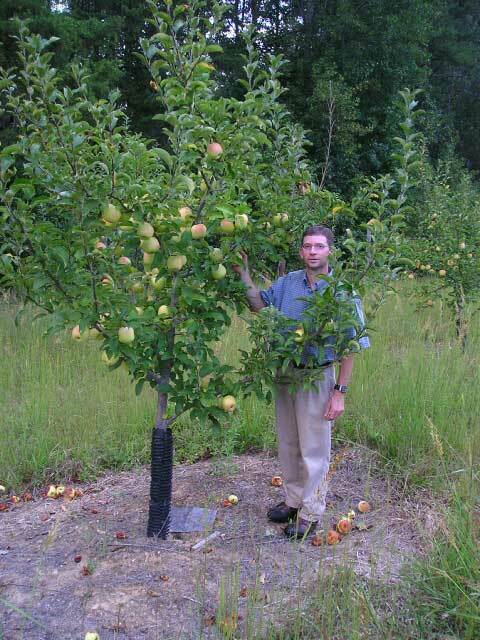 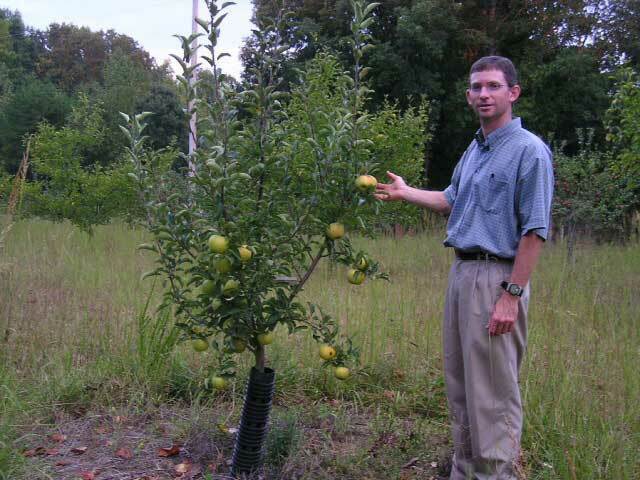 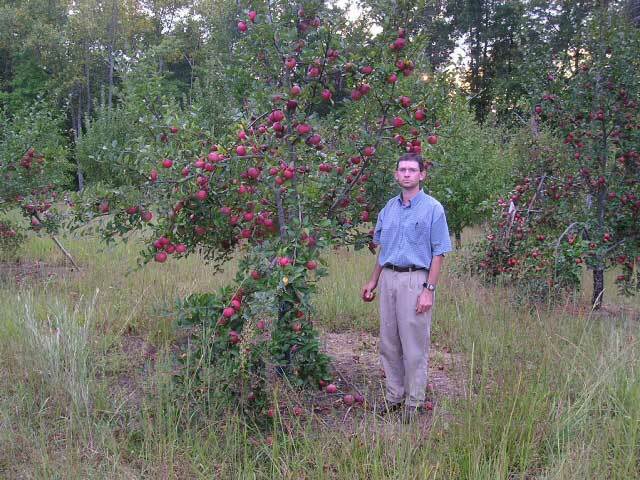 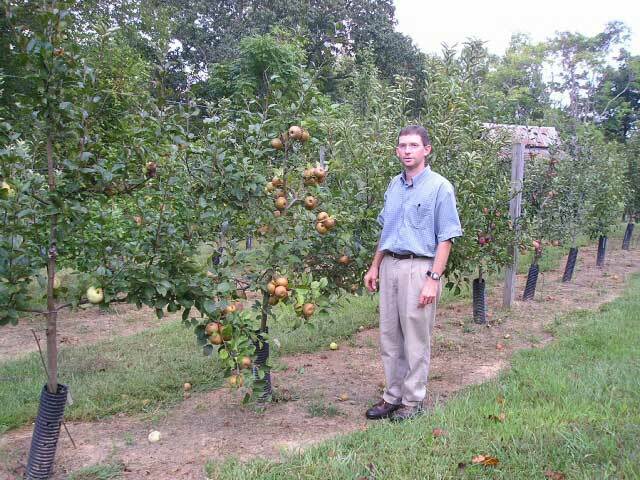 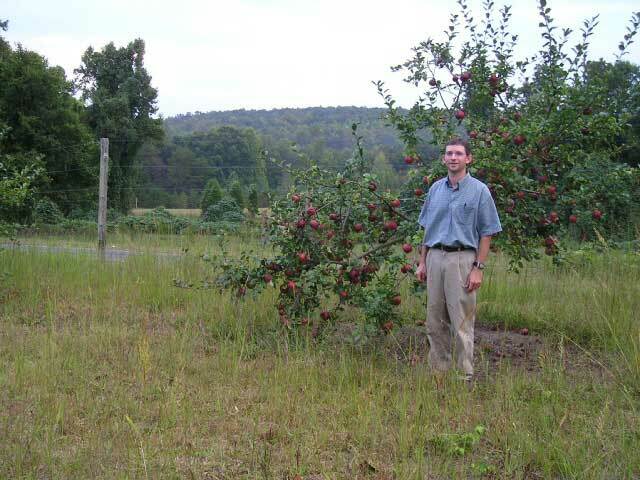 David stands beside a Virginia Gold tree. 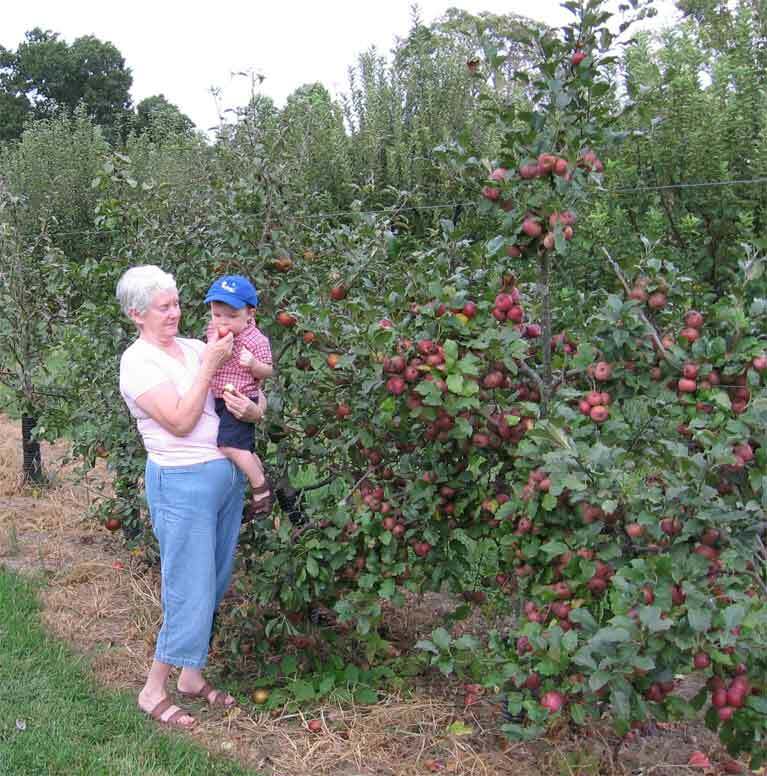 Janice lets grandson, Colin, tatse a Yates apple. 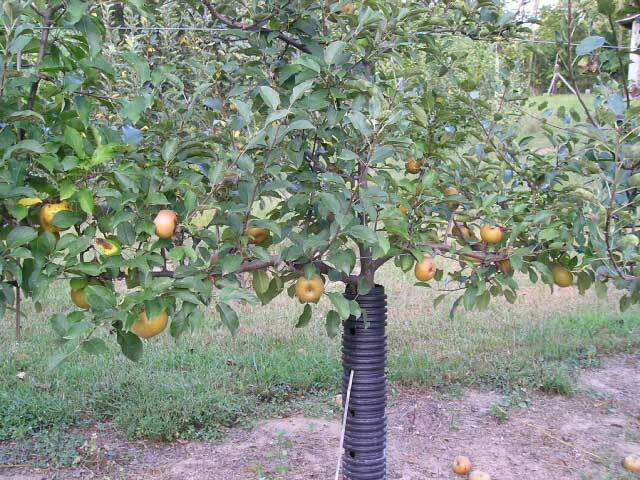 The 8 year old tree is being grown on a trellis. 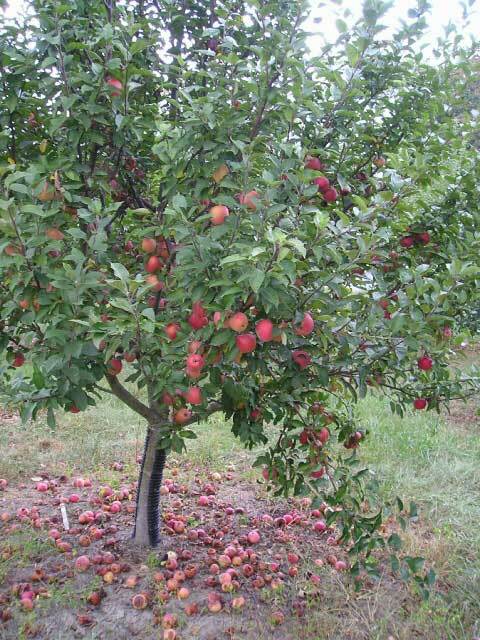 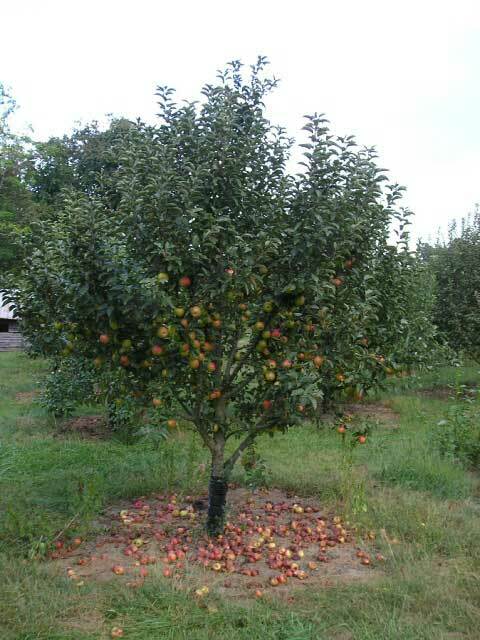 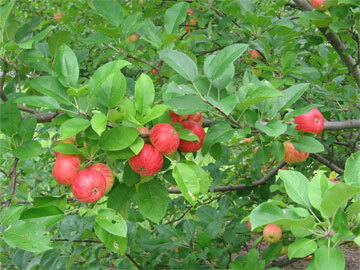 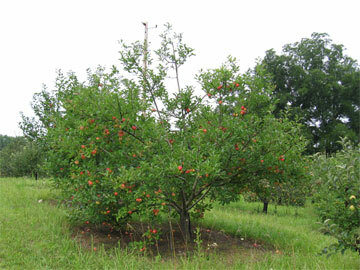 Cy picks Blacktwig apples. 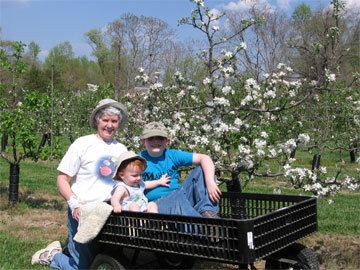 Grandsons Bryan (left) and Colin( right) assist. 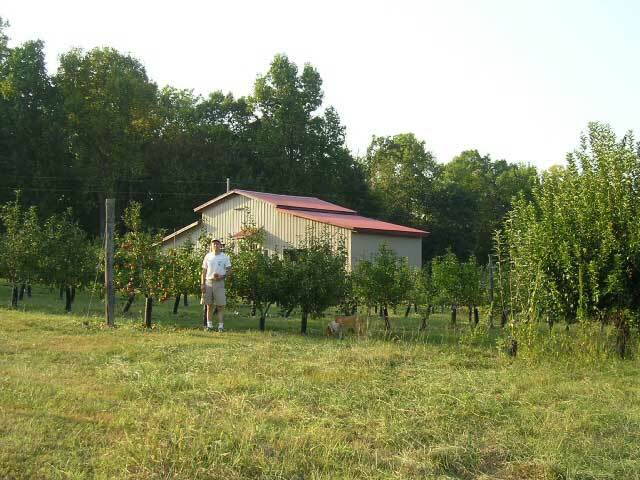 Georgia (dog) watches. 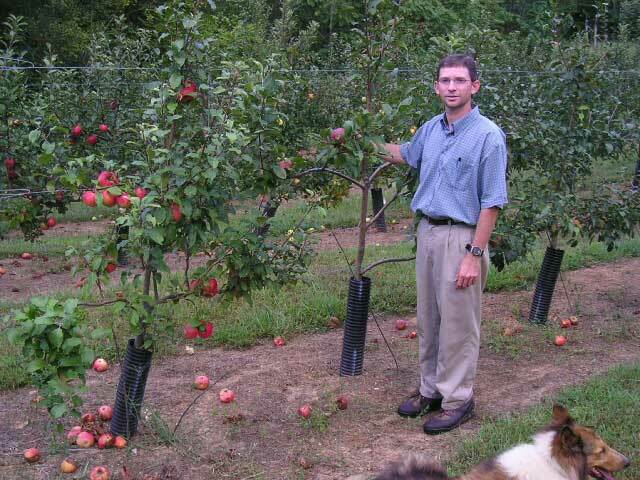 A Clarke's Pearmain on a trellis in full bloom.........................................David strolls through the trellis in mid April. 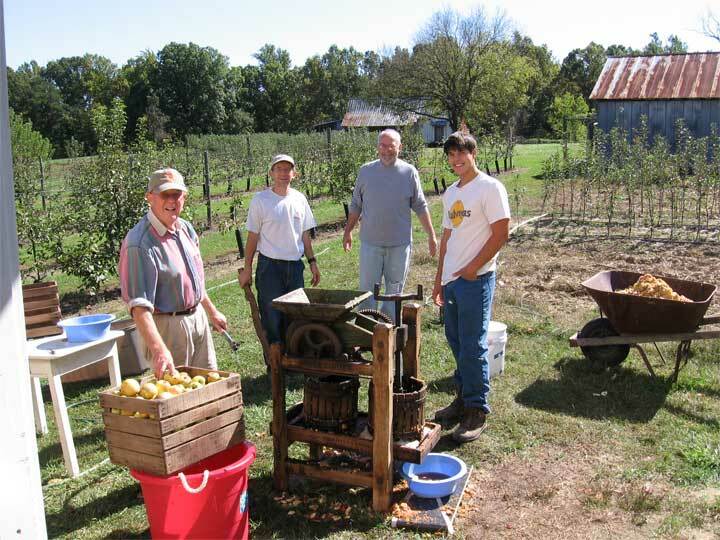 Cy, David, Bill, and Jacob make apple cider on a cool October afternoon. 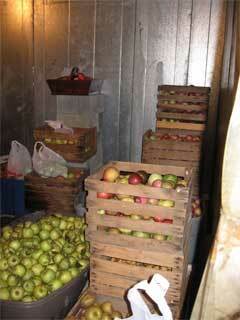 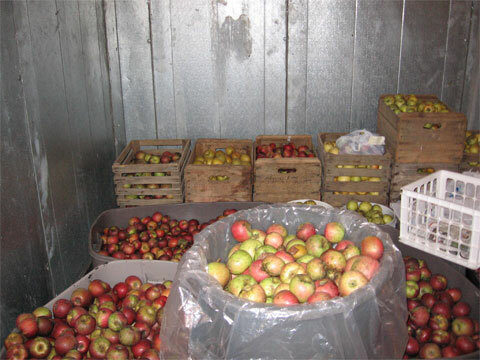 Many different types of apples sit in the cooler. 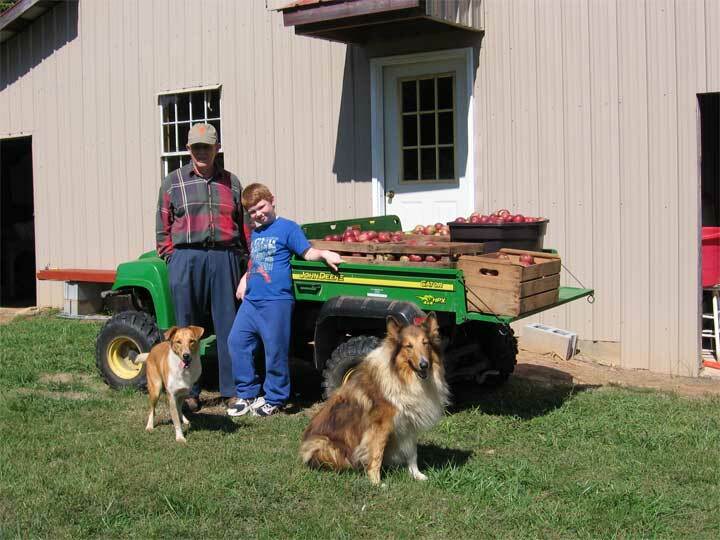 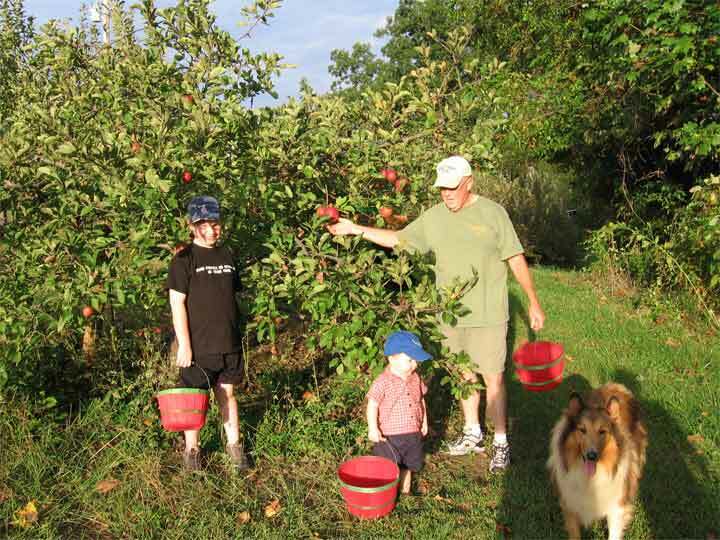 Cy, Bryan, Wesley, and Georgia (seated) with Old Fashioned Winesap apples.....just picked. 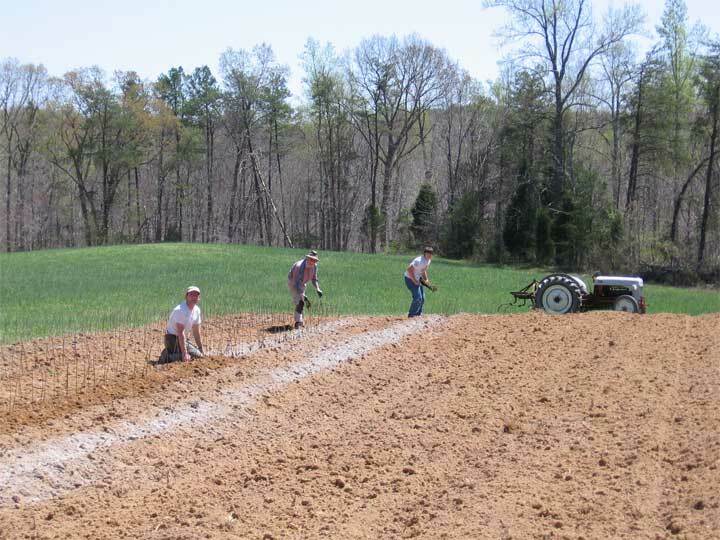 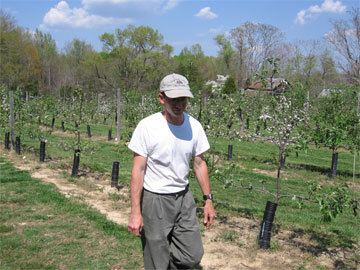 David, Cy, and Jacob plant new rootstock in a "field-grown" tree nursery in early spring. 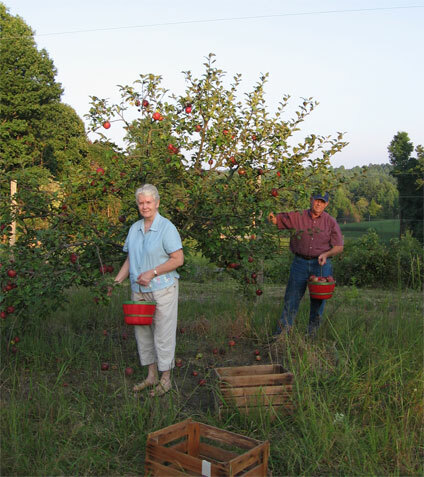 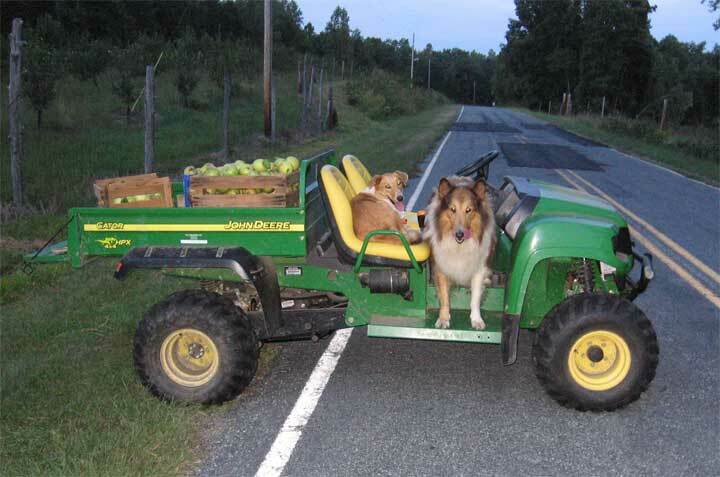 Georgia and Wesley(seated) wait for David to close the fence gate after a long afternoon of picking Goldrush apples.